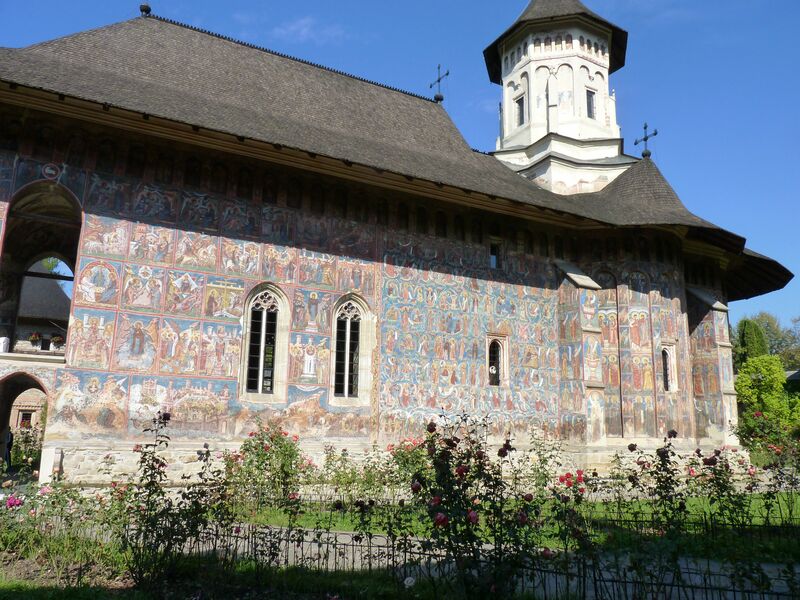 Among the most picturesque treasures of Romania … decorated with elaborate 15th and 16th century frescoes featuring portraits of saints and prophets, scenes from the life of Jesus, images of angels and demons, and heaven and hell. 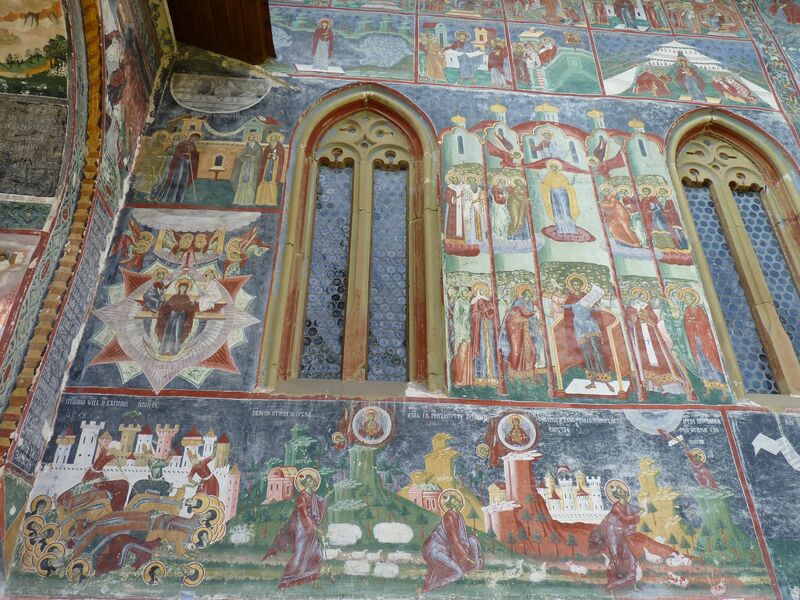 While such themes are not uncommon in Christian places of worship, what made this destination especially enticing was the fact that these monasteries are painted on the outside, (as well as the inside), and the stories they tell have survived winters, summers and wars (at least on the southern non-wind facing side of the buildings) since the pigments were applied in the mid-fifteenth century. 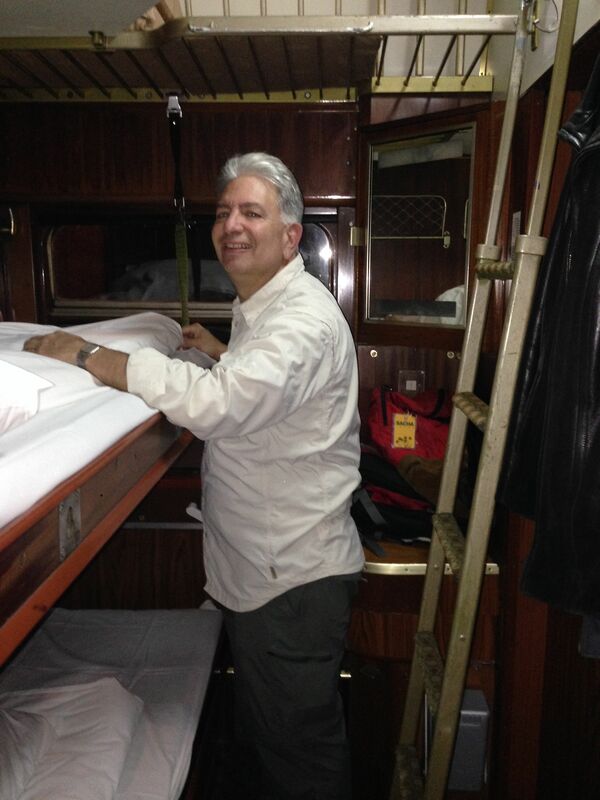 So what if it meant a two hour flight from Bucharest to Iasi (pronounced Yash, not I-AS-I), a two hour train ride to the town of Suceava and a six hour train ride back to Bucharest departing at 11:00 P.M.? 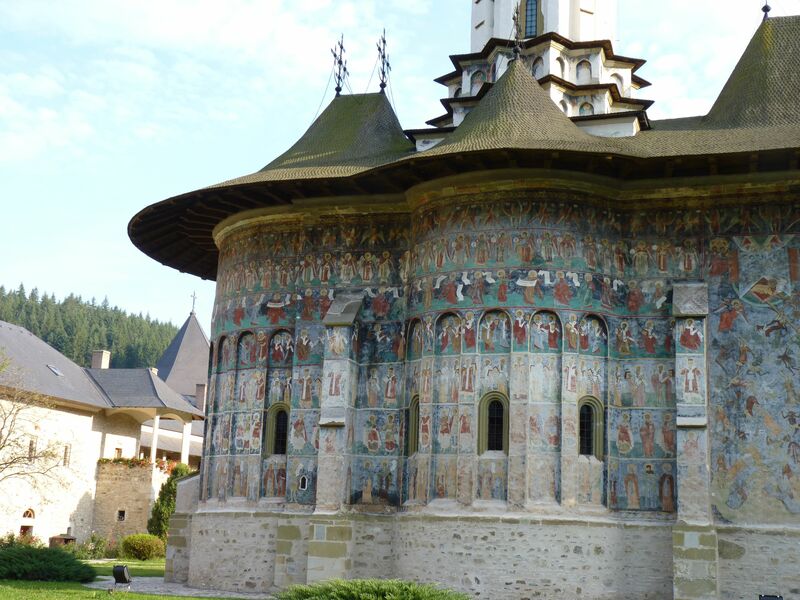 If we were heading to Romania, we (meaning me) had to travel to northwest Romania to see painted medieval monasteries. 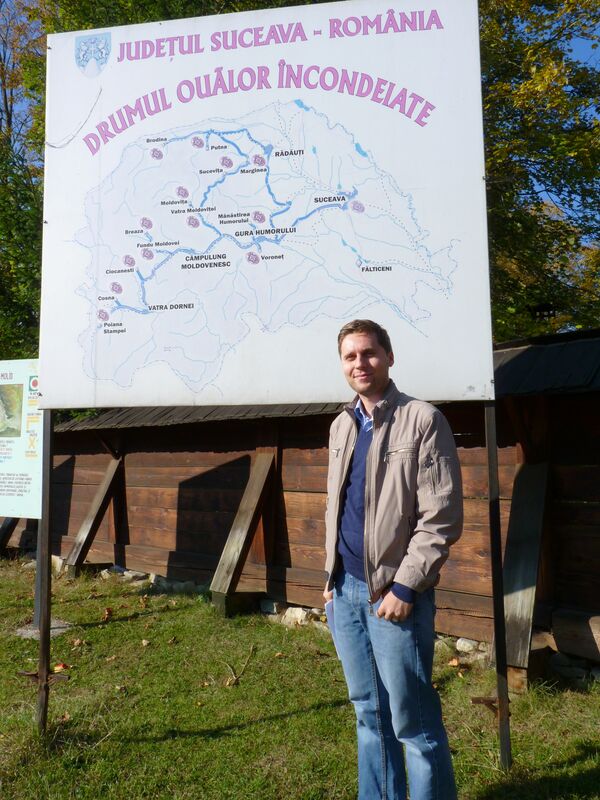 The Romanian Tourist Office did not disappoint. 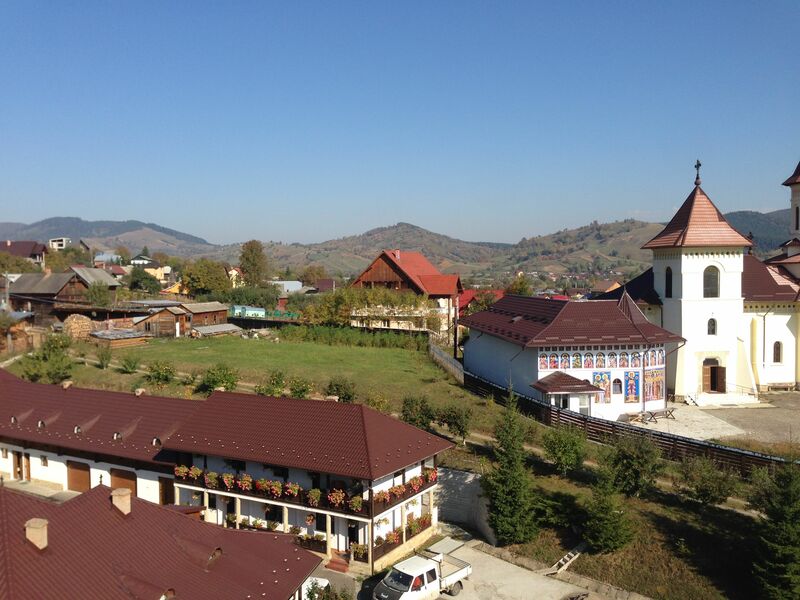 The 2-day journey for the 6-hour whirl around the Moldavian countryside delivered in every way. Besides the raison d’etre of the monasteries, there was this bucolic, open landscape of mountains and sheep farms, apple trees and horse-drawn carts. We even saw one of the estates owned by Prince Charles, who has a particular affection for Moldavia, because his ancestral heritage includes Romanian royalty. 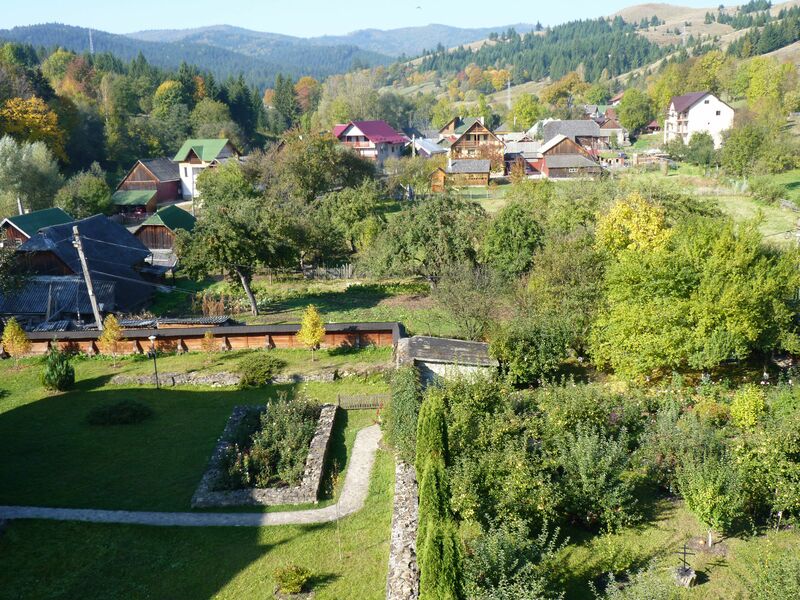 In Suceava, where I had booked us into the Villa Alice, a picture postcard of perfect quaintness, the concierge was most helpful in arranging for a driver and a guide to transport us from monastery to monastery because there are about five of them that are must sees: Humor, Voronet, Moldovita, Suceavita and Dragomirna, (which actually is not painted). But before we started out we had the most grand homemade spread. 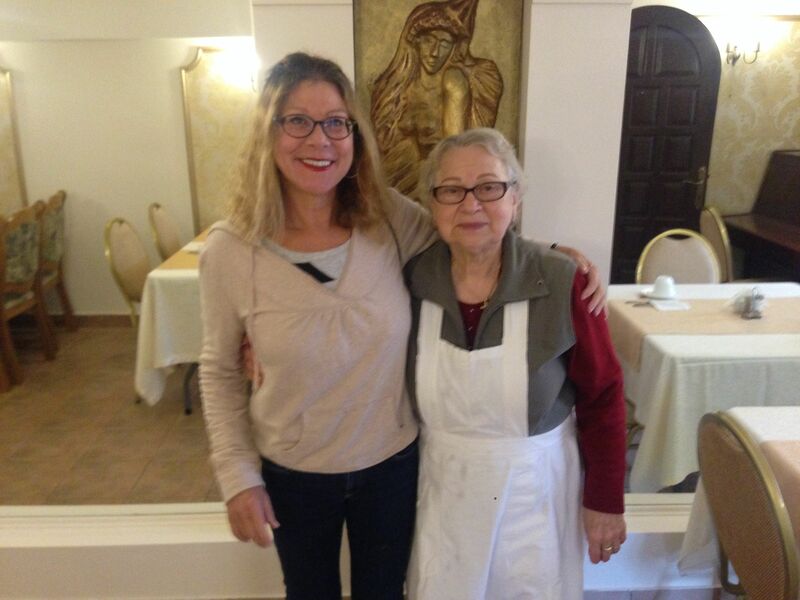 Laid out were fried eggs and bacon and sausage and home baked toast and yogurt and cheese and ham and fruit and olives lovingly presented by the matriarch of the hotel. Her son lives in Queens and since we were from New York there was an immediate connection and she intended to feed us, very well. We sent him a photo by text to say hello. 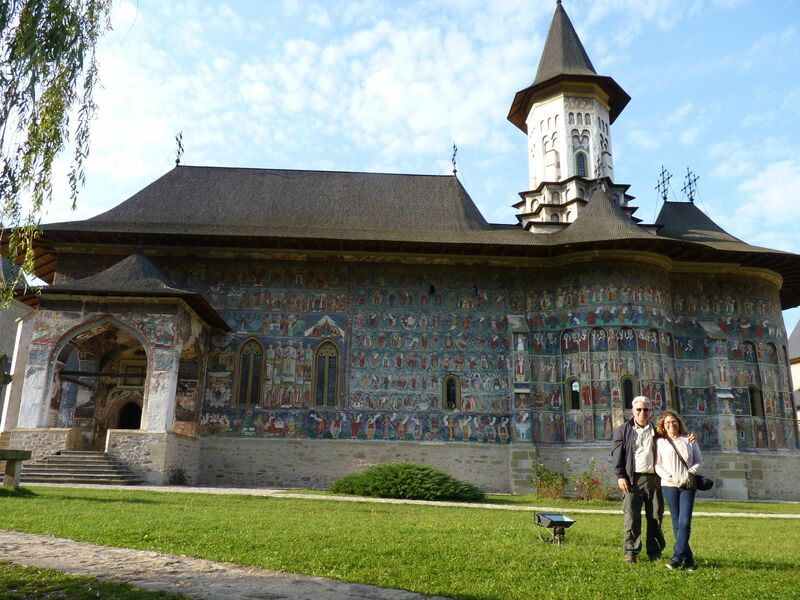 Meanwhile, her grandson Chris, a graduate student in political science at the University in Suceava and a wedding videographer, was going to give us our tour. 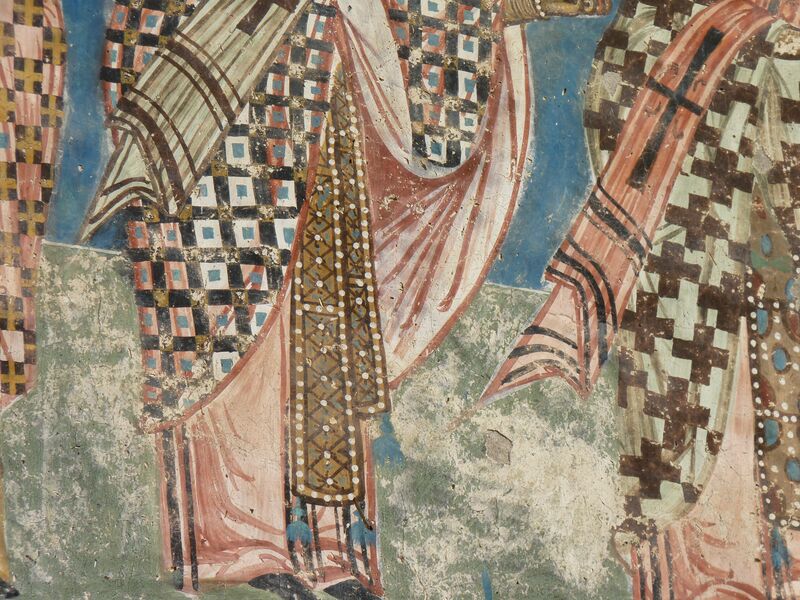 (He kept trying to pose us in classic wedding photo mode before each monastery). 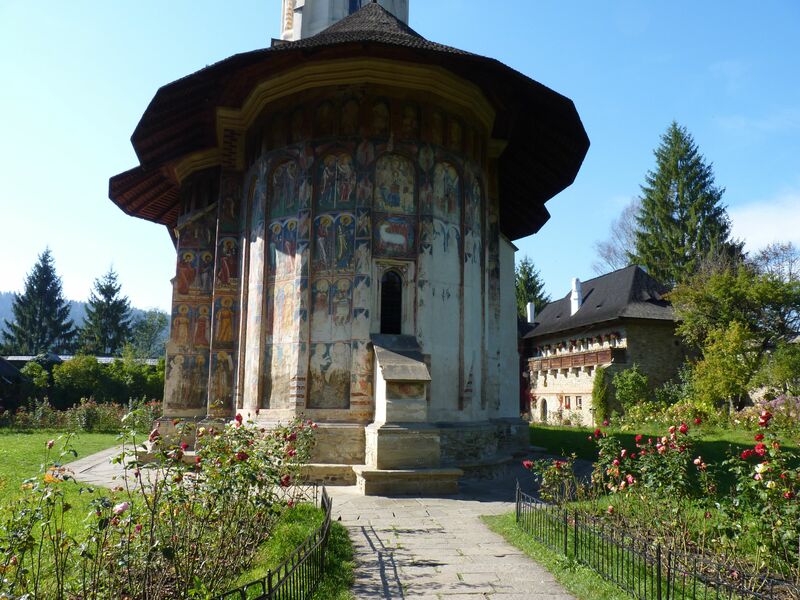 It would take years for me to understand the nuances and individuality of each monastery, but this is unnecessary to appreciate their grandeur, beauty and uniqueness. Chris was wonderful in explaining the history and pointing out the highlights. 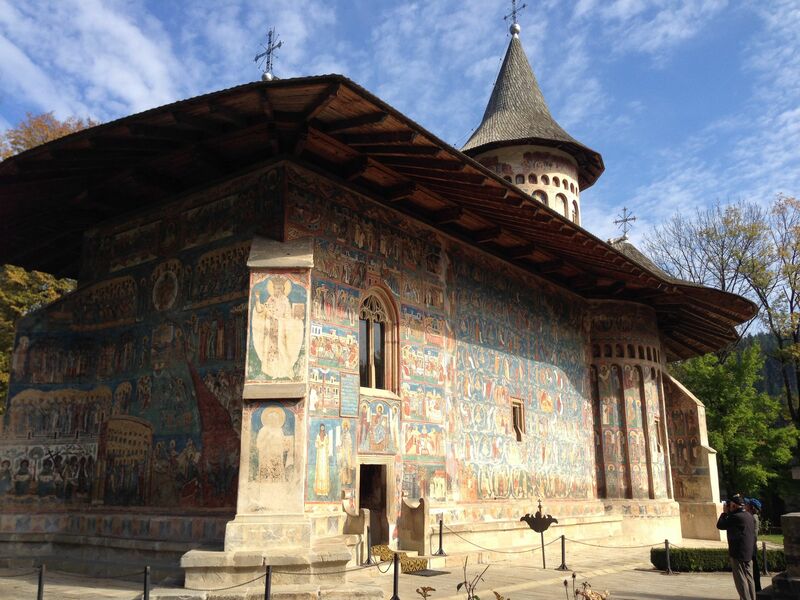 What they have in common is their dual function of being spiritual places for worship and a visual testament to the history of Moldavia and its struggle to defend itself against the invading armies of the Ottomans. Thus each has its version of communicating the path to heaven and the temptation of hell and the battles against the Turks. 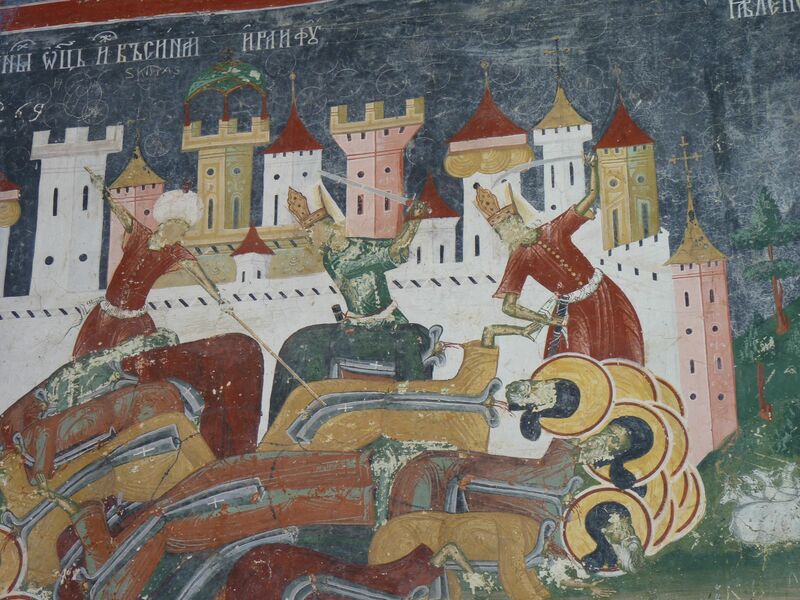 We learned that Stefan cel Mare or Stephen the Great was the grand monarch that defended Moldavia from invading armies over and over again. According to Chris, each time he did, he built a church to thank his power to be. 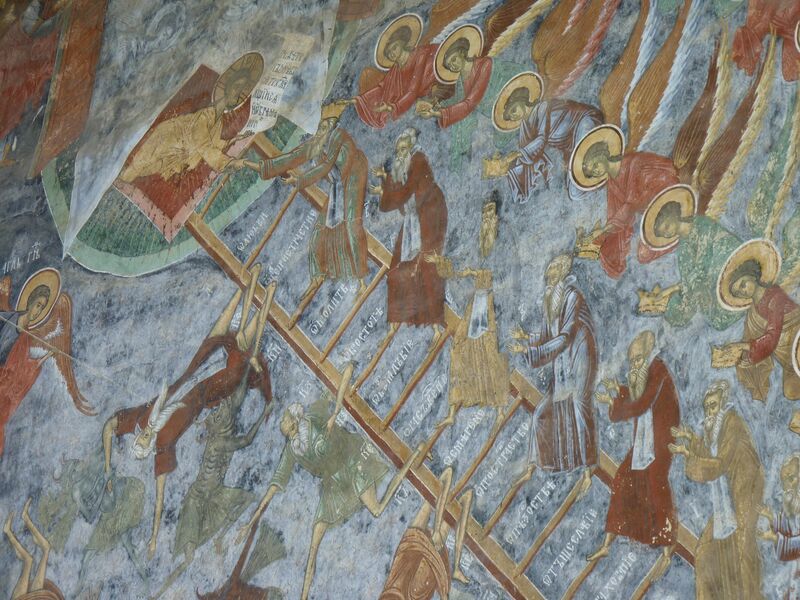 His son Petru Vares continued the tradition and thus, a common theme emerged of the King, with his family in attendance, thanking Jesus for his beneficence by a gift of a monastery. 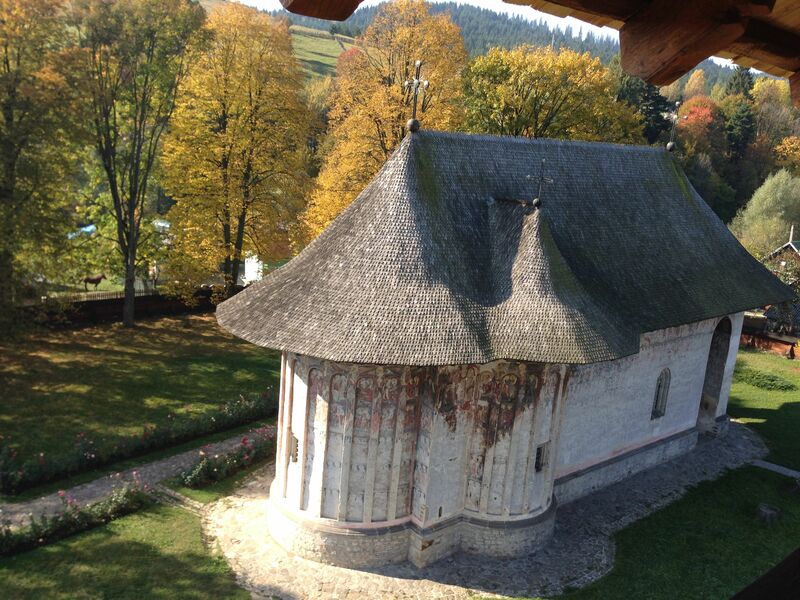 We saw, and learned, that each of the monasteries is associated with a dominant color. Red for Humor, green for Sucevita, yellow for Moldovita and blue for Voronet, but most significantly the blue of Voronet, which mimics the sky at dusk on the most perfect day in autumn, has been compared to the red of Rubens and the green of Veronese. 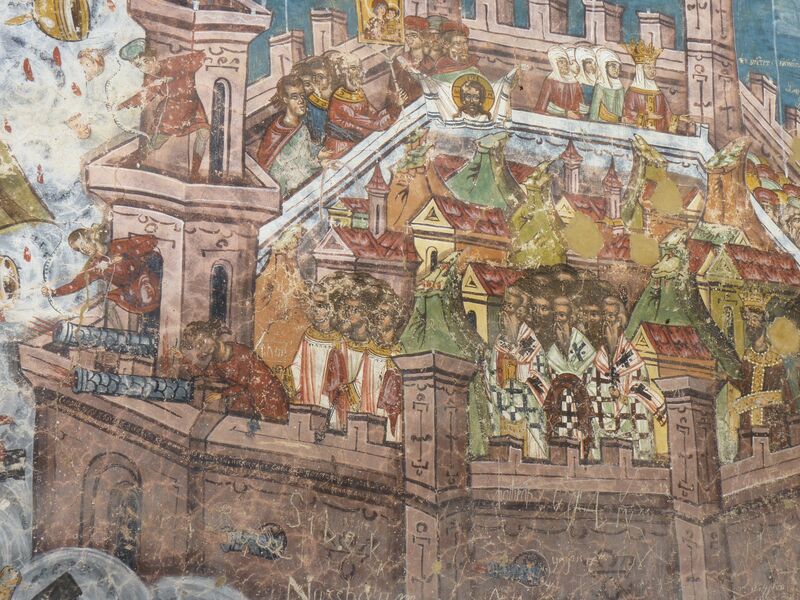 Partial rendering of the western wall at Voronet showing the path to Heaven. 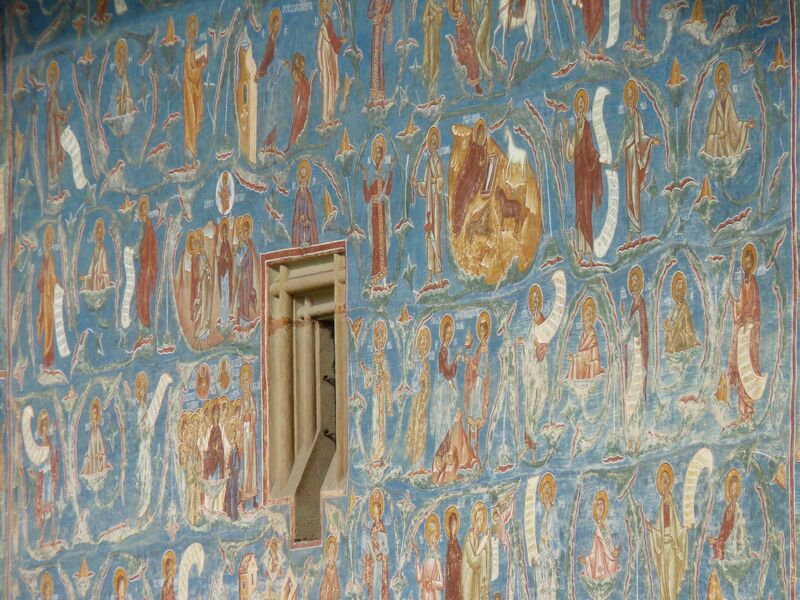 The Blue of Voronet which has not been accurately captured in this photo. 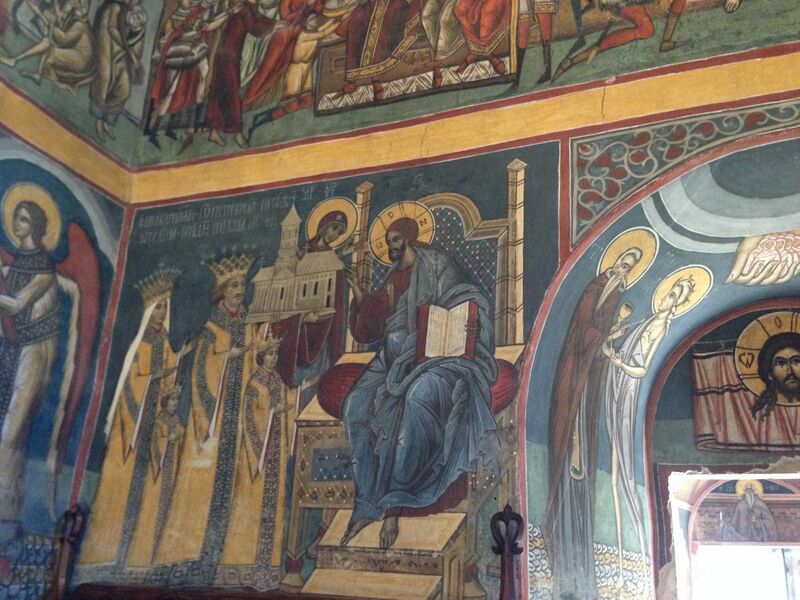 The last monastery we visited that day was Dragomirna, built in 1609. The style is different. 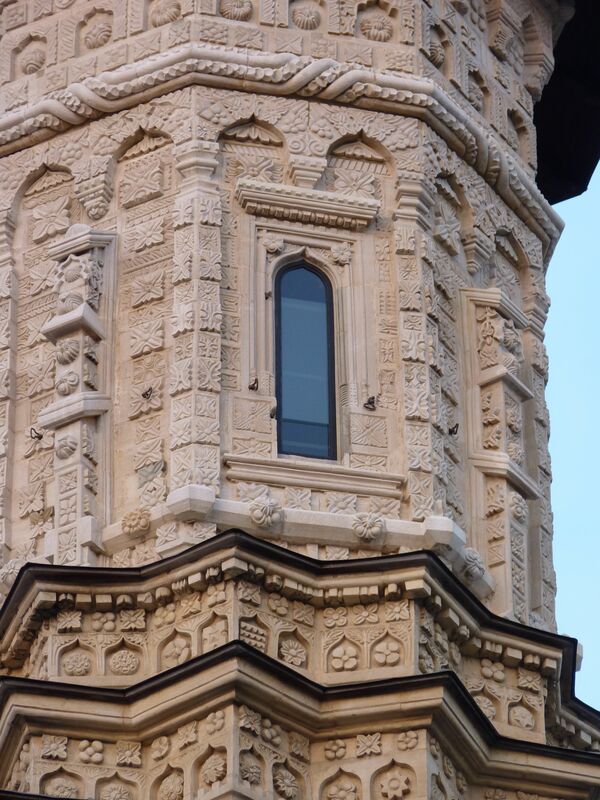 The exterior architecture more detailed and no longer painted. 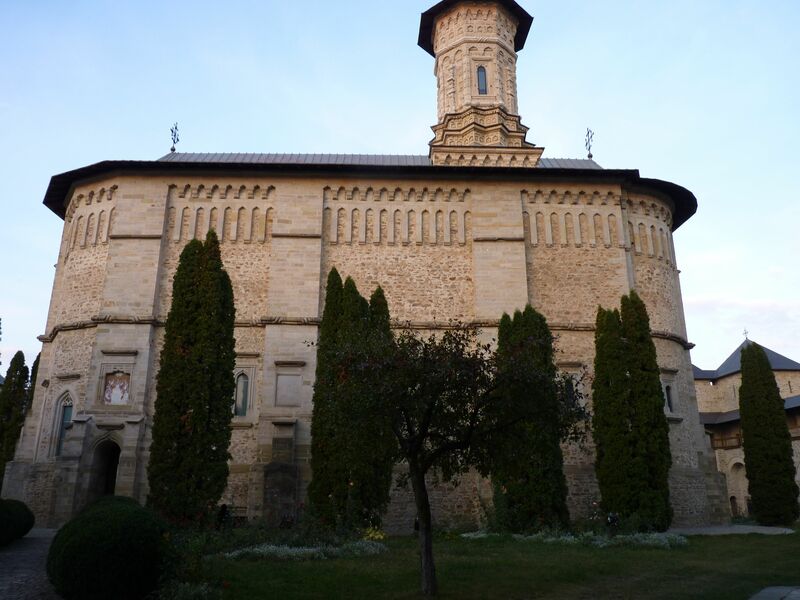 So here is a mini tour of what we saw starting at Humor, where we climbed the fortress to look over the countryside and ending in Dragomirna, where we heard the bells being played to announce the evening prayers. It was a fine ending to a fine day and boarding the night train back to Bucharest turned out to be much less adverse than we anticipated. 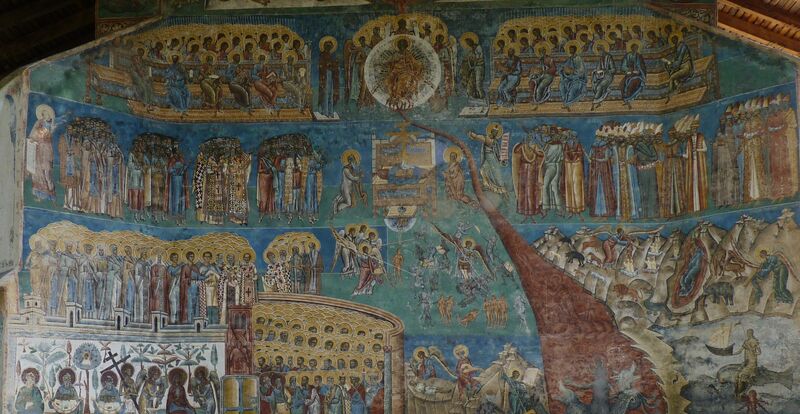 Plus, it signified the onset of the next adventure: Transylvania and the Land of Vlad Tepes, aka Count Dracula. 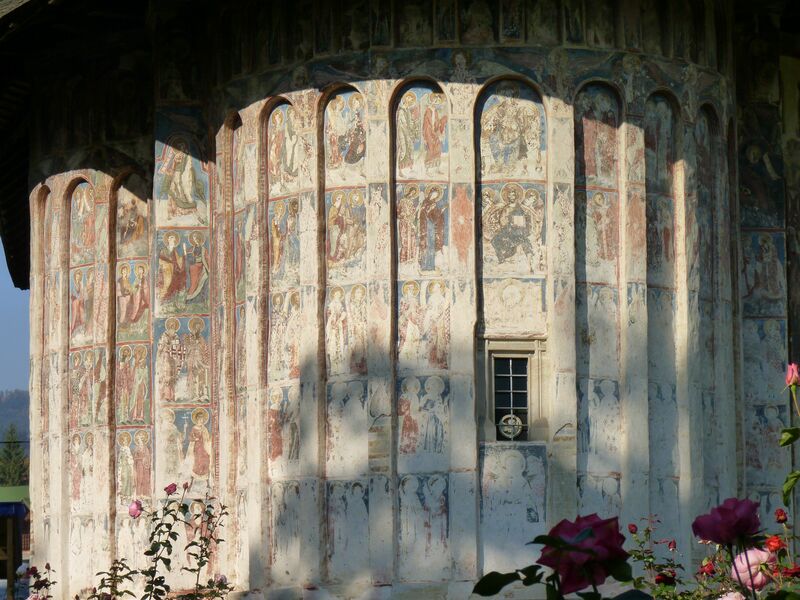 Another view of Voronet with the western wall. 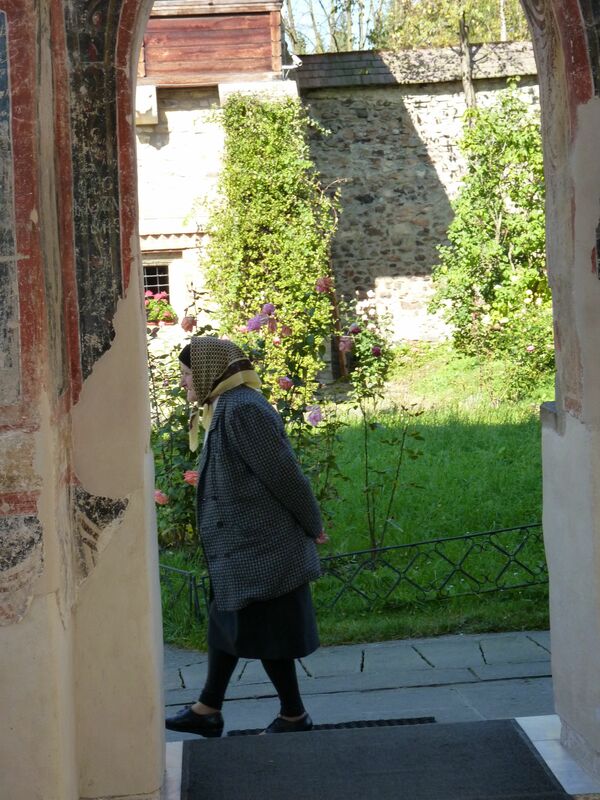 The nuns play the bells. A little protege watches and listens. Dragomirna.